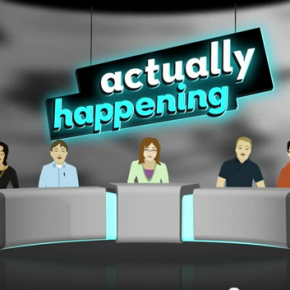 KinectToPin used to animate a segment from Actually Happening, an audio podcast. In this sequence, the Actually Happening crew discuss Boss Tweed’s failed escape from prison and the finer points of machine politics. 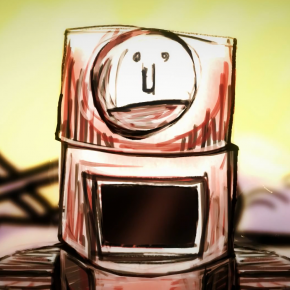 The red robot’s movement is controlled by tracking the position of the performer’s shoulders. 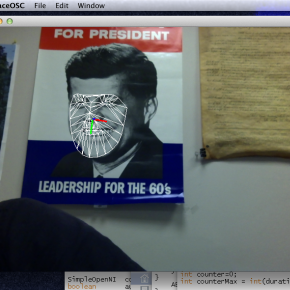 What can you do with AEwriter? 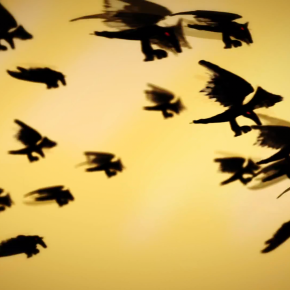 The birds in this clip were animated in After Effects, but their flocking motion was generated in Processing.